As a homeowner, foreclosure is a term you should recognize, but how much do you really know about it? 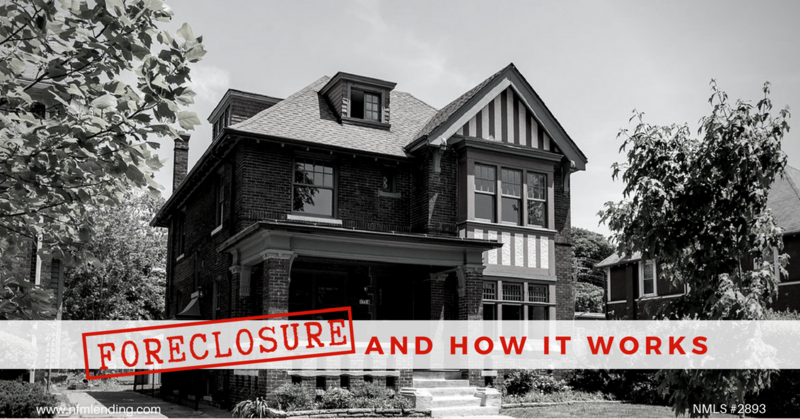 If you haven’t experienced a foreclosure before, chances are you probably don’t know much. In the event your financial situation ever takes a turn for the worse, you should know exactly what foreclosure is and how it works. Foreclosure is a process by which a lender regains a property they have financed. Typically, this is because the borrower or homeowner is behind on mortgage payments and is unable to catch up, often due to circumstances outside of his or her control. When the lender forecloses on the home, the homeowner must move out of the house, therefore losing possession of the property and jeopardizing any possible equity they may have in the home. There is a legal time frame, varying from state to state, which determines how long the foreclosure process can take. Some foreclosures can take months and others can take years. What happens when payments are missed? Usually, mortgage payments are due the first of each month. Most mortgage companies will grant a 15-day grace period to make the payment before they issue a late charge. You have until then to pay before they report you to a credit bureau for a late payment. This grace period shouldn’t be abused—you should always pay on the due date unless absolutely necessary. Okay, so you’re still thinking ‘It’s just one late payment”–which is true, but it’s one late payment that carries a lot of weight. When a payment is late for credit cards or a car loan, it will be reported, but you won’t notice a huge dent in your credit score. However, it can take years for your credit to recover from a late mortgage payment. Once reported to the credit bureau, a couple things will occur (depending on the state). You could be issued a Notice of Default (NOD), which is a public notice that you are in default (failing to repay) on your loan. This notice will tell you what needs to be done to ‘cure’ the default, typically making up the payments and any additional late charges or fees. If you fail to cure the default, a Notice of Sale (NOS) will be issued. This generally states the property will be sold at a public auction, and provides the date, time and location of the foreclosure sale. Each state has different procedures, so you might receive a NOD then a NOS, a combination of both, or just a NOS. You should review the specific procedure for your state to know what their process is. While you might be aware of foreclosure, did you know there are actually multiple types of foreclosure used in the United States? Here’s a brief explanation of three: judicial, non-judicial, and strict. Judicial foreclosure is more significant and is often the required process. 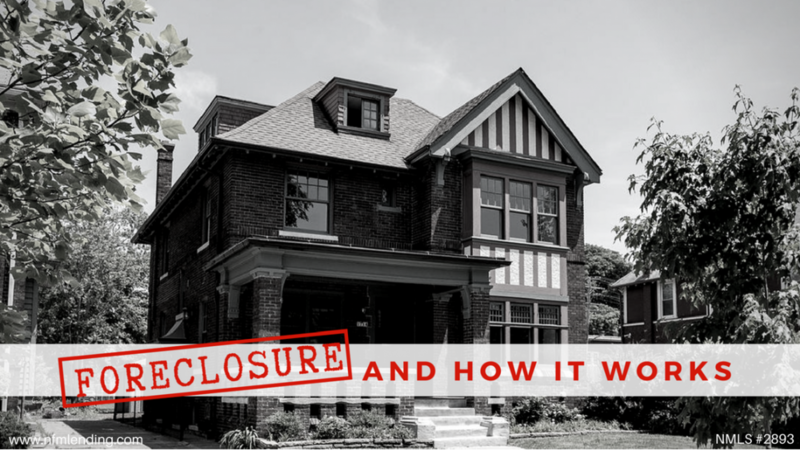 This foreclosure requires the lender to proceed under the supervision of a court. All parties must be notified and are included in the trial, and the home will be sold in a public auction. This process can be quite timely, typically taking over 6 months. Non-Judicial foreclosure is also known as a “power of sale”. This process gives the lender the ability to find a buyer on their own and doesn’t require the court to get involved. As a result, this process is often much faster. Another less-used type of foreclosure is strict. Strict foreclosure is only used in a few states and usually only when the amount of debt exceeds the actual worth of the home. A judge will set a period of time for which the mortgage must be paid. If failed, the owner will lose all rights to the property. How can foreclosure be avoided? Communicate with your lender – When you notice that you might have trouble making your mortgage payment, contact your lender and inform them about your difficulties. This gives your lender a chance to create a plan with you that could assist your situation. The sooner you react, the better your chances are to get your bills paid without major consequences. Auto-Pay – The best thing you can do for yourself is set up autopay. This enables your account to be automatically drafted on the day you set, so you’ll never miss a payment again. If you have a lot of debt, consider consolidating those credit cards into one with a lower interest rate, which in turn, will have a lower overall monthly payment. Work with Making Homes Affordable program – If you find your financial situation has taken a turn for the worse, the MHA program is a great resource that provides free advice/assistance to help homeowners avoid foreclosure. As a homeowner, foreclosure is something you hope to never experience. If you do, losing your home is NOT inevitable. Foreclosure is a process, which means there are still steps you can take to prevent it from moving forward. Be aware of your financial situation, so if you do require assistance, you catch it early and can get back on track. Even if you experience foreclosure, you can still own a home. NFM Lending offers a variety of products to help homebuyers with a previous foreclosure. For more information about these products, mortgages, or the homebuying process, contact one of our licensed Mortgage Loan Originators. If you are ready to begin the process, click here to get started!